So-called "social" smartphones have tried, and as yet failed spectacularly to create any legitimate niche within the market. With 1+ billion on Facebook and many millions more using the likes of Twitter, the social smartphone should, at least on paper, be an easy sell; but as HTC found out with the ChaCha and Salsa, not everybody likes to dance is so keen to buy into the idea of a device tailored to the social networks. Undeterred, the "quietly brilliant" Taiwanese company looks set for another stab with its ‘Myst’ handset, and if a specs leak via Unwired View’s evleaks is to be believed, the mid-range handset sounds like a decent effort. The key for HTC (or anybody looking to try and sell a Facebook / social device, for that matter), is to sell the idea of the handset itself, rather than trying to impress users by telling them they can use it to post status updates. The major ecosystems all offer fluid integration with the big social hunts, and with deep integration now becoming a standard feature on, for example, the iPhone, consumers are only likely to consider the social device if they actually like it. 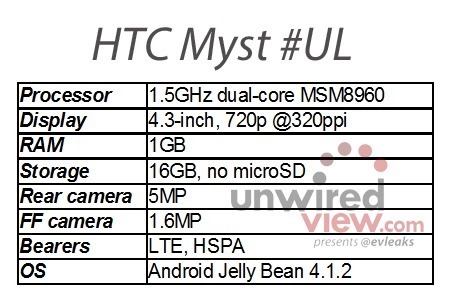 The HTC Myst seems, according to the specs, to be a device I think many could learn to like. It is said to be preloaded with Facebook apps and such, but it would appear there’s no sign of the inherently useless "Facebook button". Specs include a 4.3-inch 720p display, dual-core 1.5GHz Snapdragon S4, LTE and a reasonable, if not groundbreaking 16GB of storage capacity. The 1GB of RAM may not quite be enough for some, and the 5-megapixel camera is unlikely to offer the kind of quality of the upcoming HTC One. On a brighter note, though, it is purported that the Myst will begin reaching the United States as soon as spring, and forgetting the potential social façade, may be a noteworthy mid-range device. 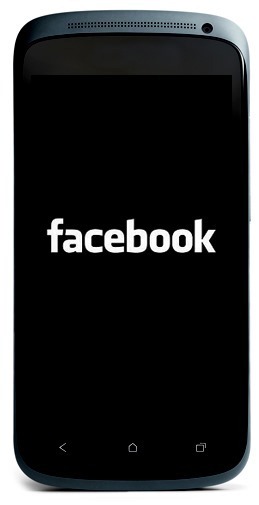 With tens of thousands of developers working on different ways for those on iOS and Android to interact with their buddies on these social sites, it’s little surprise that few have seemed bothered by the idea of a Facebook smartphone hitherto; but if you were impressed by the One but cannot justify its high-end price, the Myst might just be your perfect purchase.